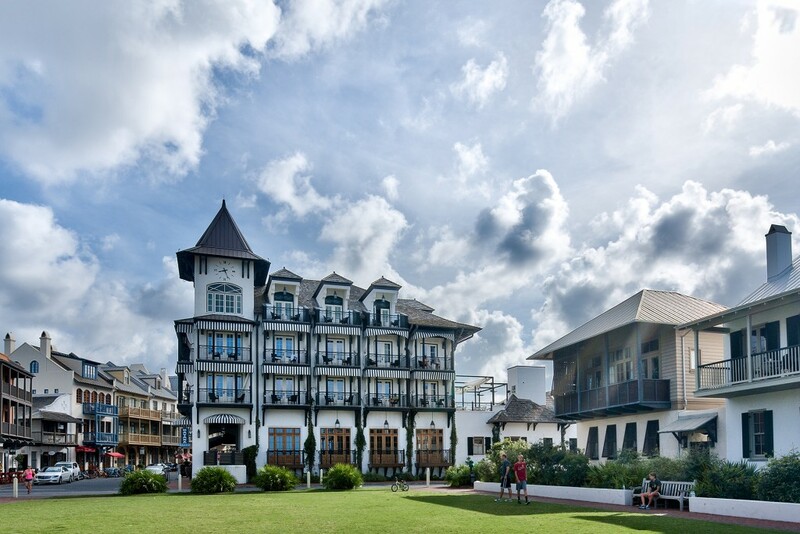 Rosemary Beach Florida The sophisticated side of gulf-front living. Rosemary Beach in Florida is a trendsetting example of the New Urbanism real estate that has taken hold along scenic 30A. 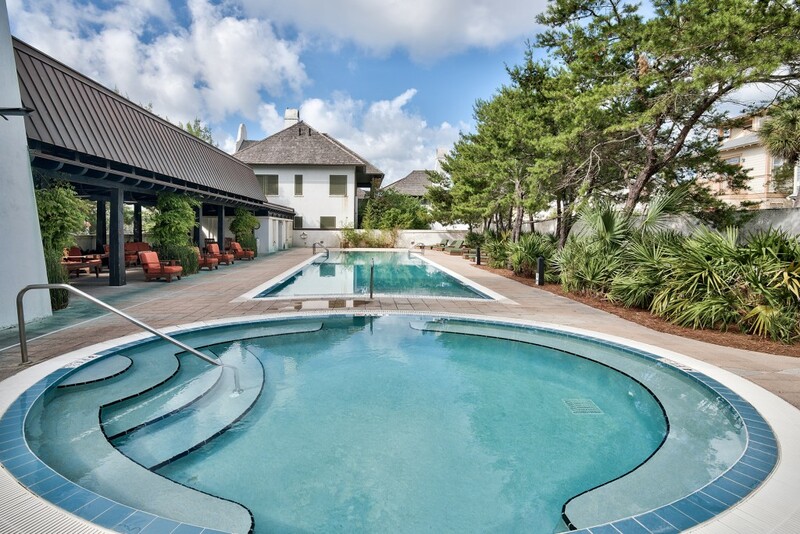 Designed as a planned community to create a traditional neighborhood lifestyle, Rosemary Beach real estate includes a variety of luxury homes for sale that are well represented by Scenic Sotheby’s International Realty. 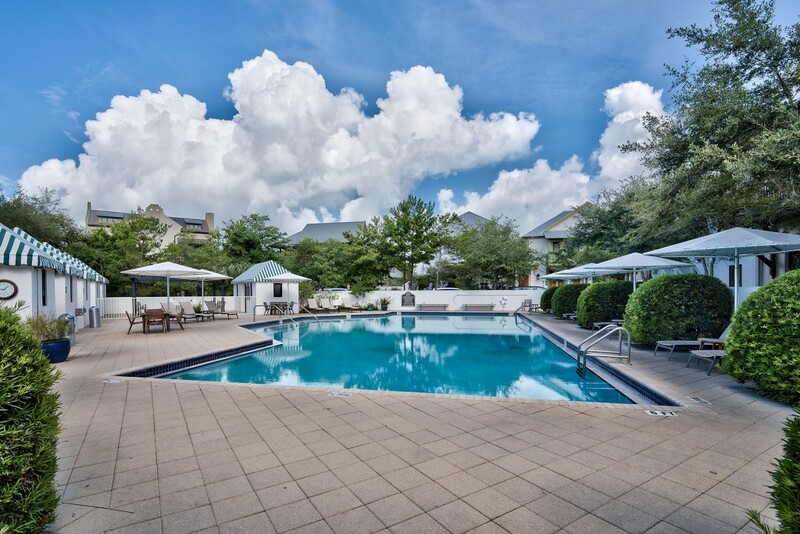 Carefully planned Rosemary Beach condos overlook the activities on Main Street while spacious single-family homes accommodate those wanting their own private outdoor living space. 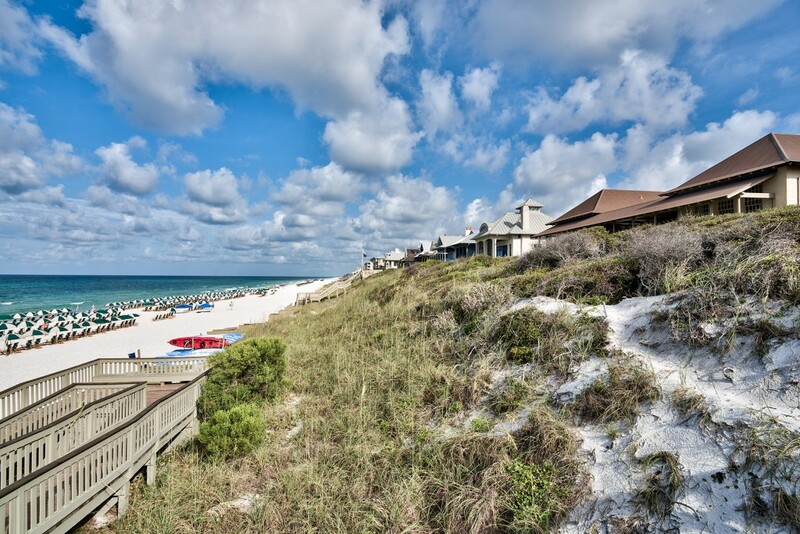 Situated midway between Seacrest Beach and Inlet Beach, Rosemary Beach properties are about 15 miles west of Panama City. 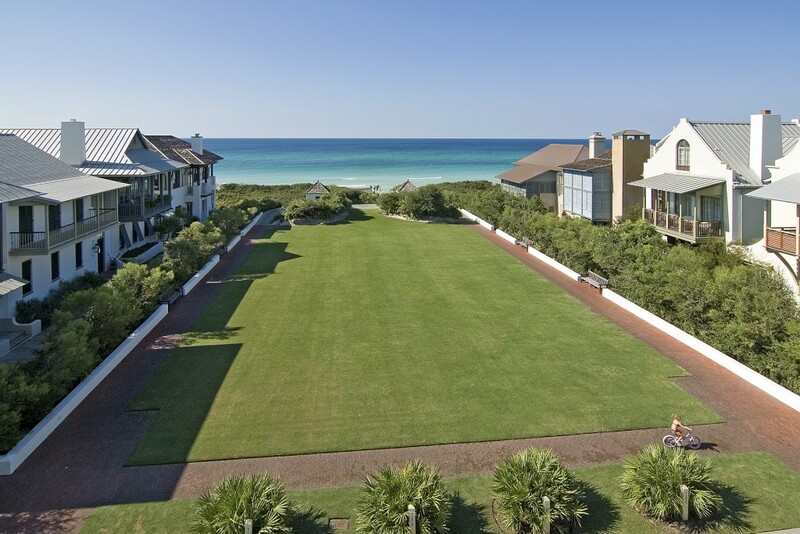 Covering 107 acres, Rosemary Beach boasts 3,000 feet of pristine white sands along the scenic Emerald Coast. 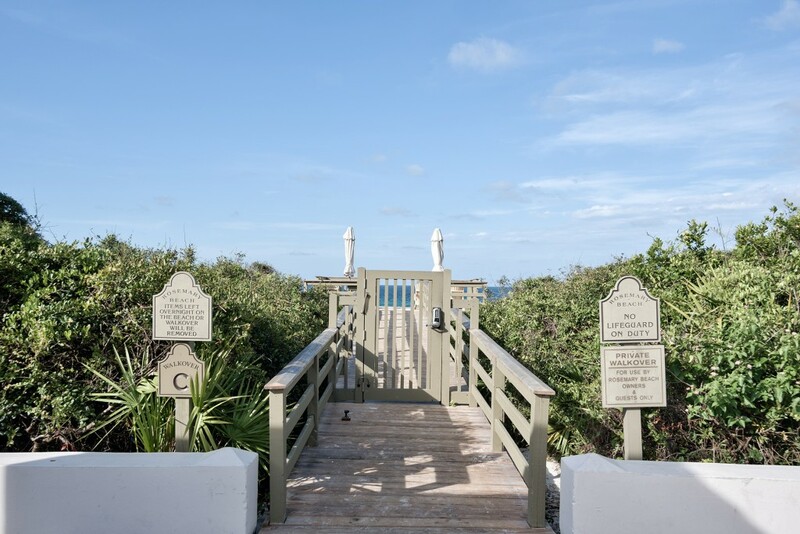 Wooden boardwalks and meandering pathways connect designer homes and condominiums in Rosemary Beach with playgrounds, swimming pools, shops and amenities that can easily be reached on foot or bicycle. Cobblestone streets and the arcade of trees are lit up after dark with flickering gas lamps, adding charm to this neo-heritage neighborhood. 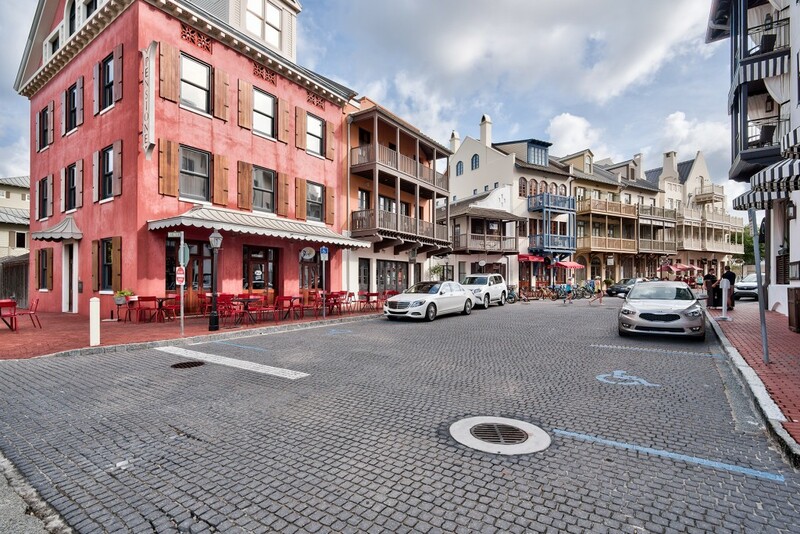 The coastal community of Rosemary Beach is the closest of the 30A communities to the Northwest Florida Beaches International Airport at Panama City, which is served by United, Southwest and Delta Airlines. 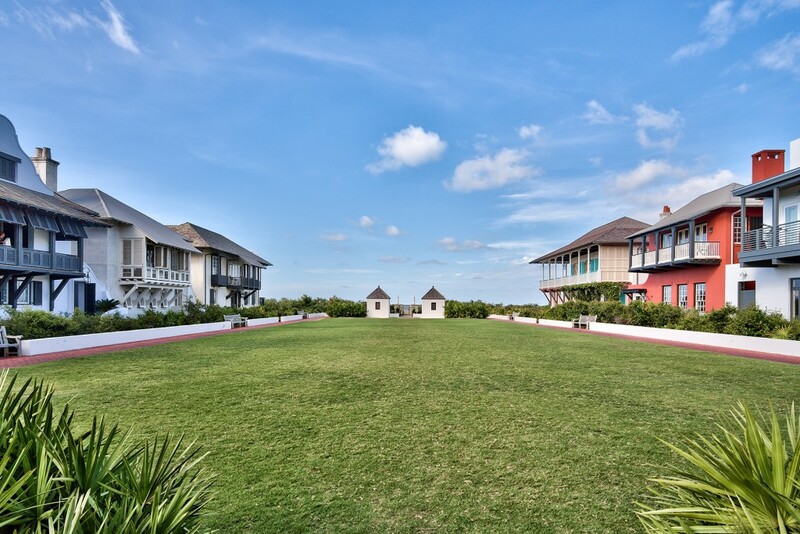 Rosemary Beach homes are custom-designed to be truly unique, reflecting the individual taste of the owner while conforming to the overall vision of this master-planned community. Discerning homeowners will appreciate the natural elements of cedar shingles and wood siding, complementing the fresh stucco finish of each exclusive residence. 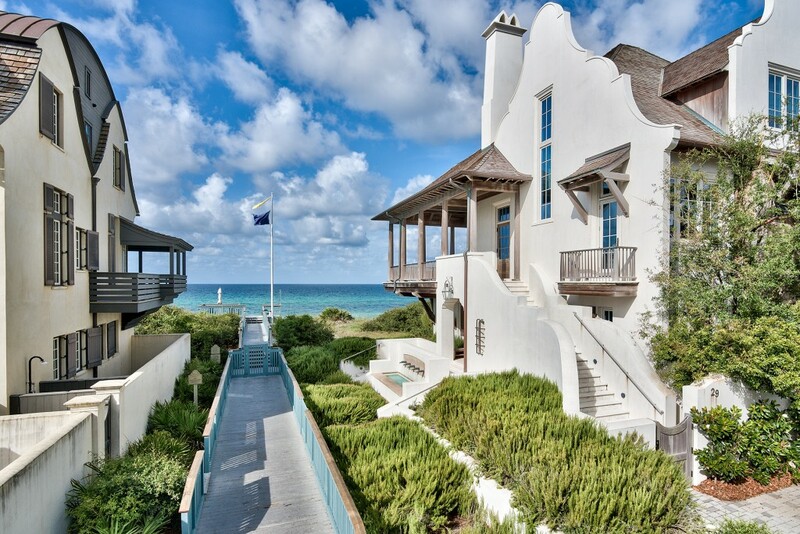 Rosemary Beach real estate emulates the interesting silhouettes and architectural detail typically found in the West Indies, New Orleans and Charleston. Colonial elements complement the coastal character and outdoor living that is essentially Rosemary Beach real estate at its best. 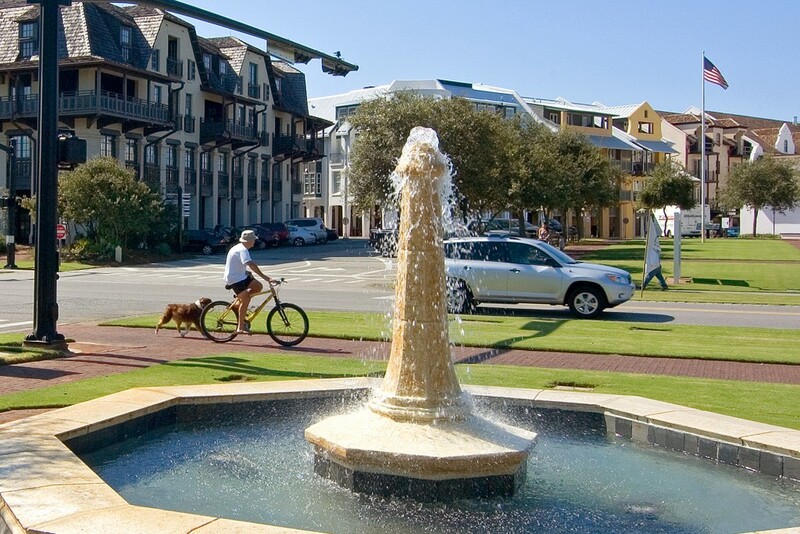 Luxury homes in Rosemary Beach are an integral part of this self-contained community, which is centered on the hub of the shops, art galleries and restaurants at the Town Center. 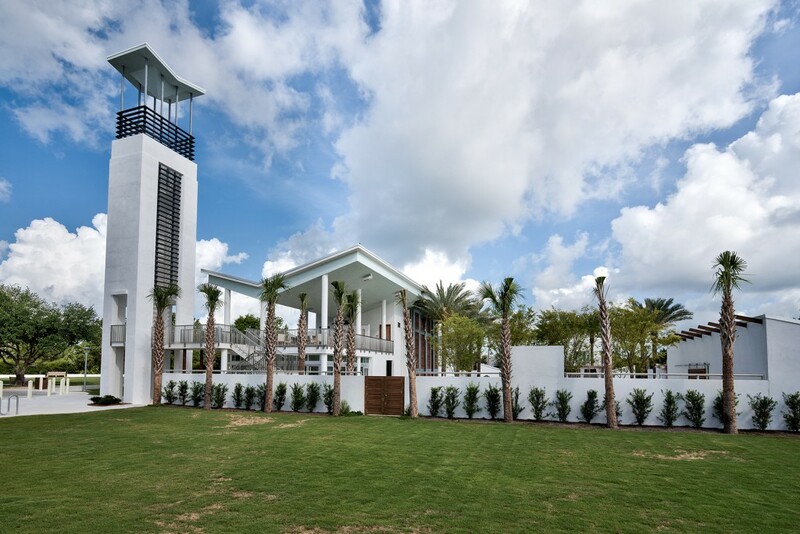 As well as having private beach access, residents can enjoy eight tennis courts for night and day play, a pro shop and observation deck at the Tennis Center. 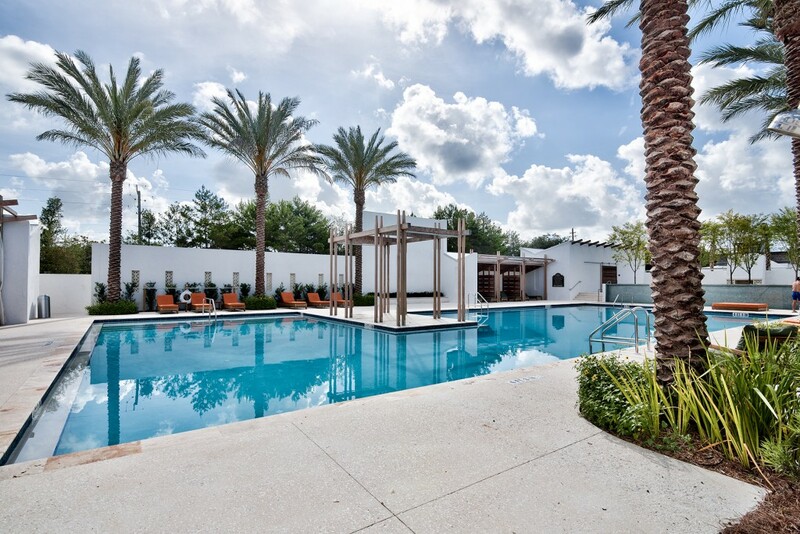 Four community swimming pools include the heated Sky Pool with its retractable roof that makes swimming possible all year round. 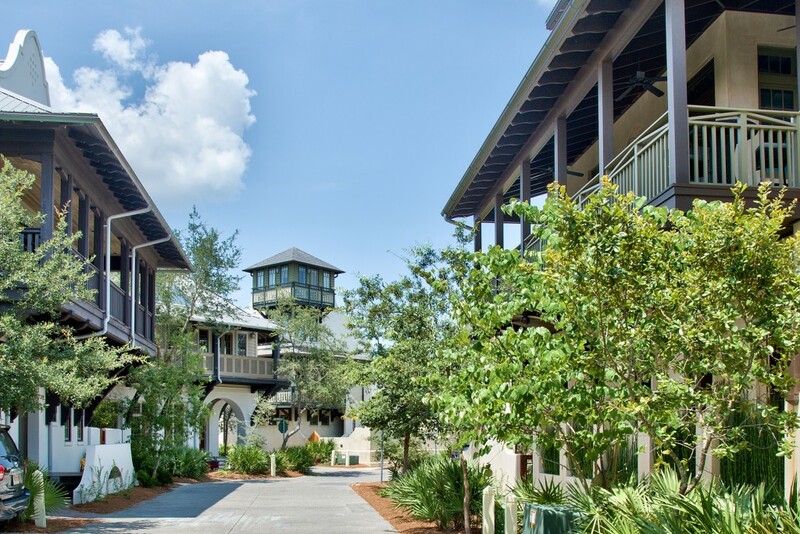 Green community space is provided at the nine pocket parks and butterfly gardens scattered throughout Rosemary Beach. 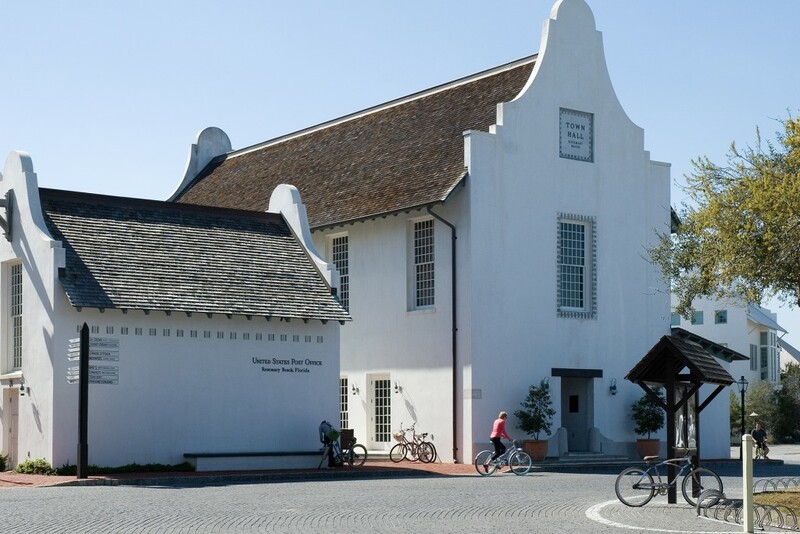 Ballet performances, concerts, movies, theater performances, wine festivals and a farmer’s market all provide entertainment and a lively social calendar of events, adding extra value to the lifestyle that comes with owning Rosemary Beach real estate.